When the engineer J.I. built the Paradiso Rest Home, he never imagined that he’d end up spending his final days there. Abandoned by his children, the old man starts to plot a scheme to free himself and his fellow inmates. To him, the Paradiso has become a hell. Meanwhile, unbeknownst to J.I., the Tivoli circus has come to town, filling it with colour, magic and a star attraction: Zara the elephant; the same animal he gave to his son, who now runs the circus, fifty years ago. 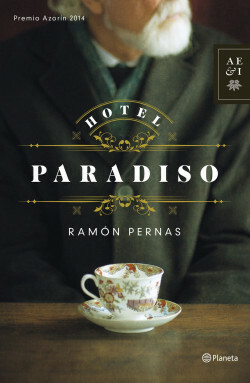 Ramón Pernas enthrals the reader with an exciting plot of high literary quality, in which the magic of the circus and the solitude of old age combine to tell a brilliant and moving story. “A well-rounded novel with a universe capable of kidnapping us from our daily lives and inserting us into its parallel one... it is moving, exciting and vibrant... with a mastery over the language and timing of each scene.” Jury of the Premio Azorín.